Suggestions that wealthy overseas interests are buying isolated New Zealand properties to use as 'secret boltholes' are not substantiated by recent sales of high country property, says a national rural real estate leader. General Manager of PGG Wrightson Real Estate Peter Newbold said the facts did not support stories that high net worth foreigners are buying New Zealand properties to escape the risk of civil unrest in their own countries. If this was genuinely happening, you would expect an increased number of high country farms and stations would have changed hands over the past few years. In fact, that sector of the rural property market has been relatively quiet for some time, and where high country land has sold, it has invariably been to a neighbour, rather than to outside purchasers. While we do receive occasional overseas enquiry for high country property, of late that is lukewarm. As few high country properties are listed for sale, when a serious buyer approaches, we typically take a proactive stance, going looking for suitable property, rather than waiting for a high country owner to come to us. When we have done that of late, and discussed prices, what a high country owner expects for his or her property is more than a foreign investor is prepared to pay, so that discussion tends to be short. Going through the Overseas Investment Office process can also present a hurdle for some potential foreign owners, he said. Recent sales of notable high country properties have included 3139 hectare Castle Hill Station, in Central Canterbury, which sold in March last year to a Darfield farming family; 2923 hectare The Doone, located in Lyford, Inland Kaikoura, which sold from receivership to a neighbouring farmer in early 2014; and Bendrose Station and Roboro Downs in South Canterbury, which both sold in the middle of 2014 to different local interests. 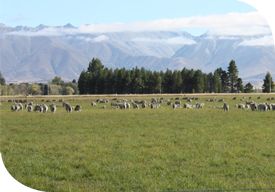 An exception to the recent trend of local purchasers of high country property, blue chip Awatere viticulture, sheep and tourism property, 700 hectare Castlebrae, sold to an Chinese investment group after Overseas Investment Office approval in autumn 2014. A relatively high New Zealand dollar in recent years has hindered foreign enquiry in these properties, although that may be changing again, so we could see elevated interest from foreign purchasers in the coming months. In the meantime, cashed up local dairy farmers seeking a change of pace and new challenges have been more likely to purchase high country property over the past few years,? said Peter Newbold. New Zealand's high country has a vital place in the country's history, ecological diversity and identity. Comprising an approximately 65 kilometre strip on the eastern side of the Southern Alps, stretching from Marlborough to Southland, it incorporates a wide variety of extensive pastoral runs. Typically these graze a mix of merino sheep and beef cattle, with diversification into hunting, fishing, hospitality and other recreational businesses a feature of many. Many are in Crown ownership, farmed under a perpetual grazing lease system.